Instant Magic contains biological magnesium in combination with a fast-acting herbal base for an effective and calming effect. Instant Magic is recommended for horses that require immediate, short-term sedation for specific, potentially stressful situations, such as competitions, shaving, traveling or visiting the farrier or dentist. In addition, if necessary, it can be used as an addition to the calming effect with daily use of a Magic supplement. 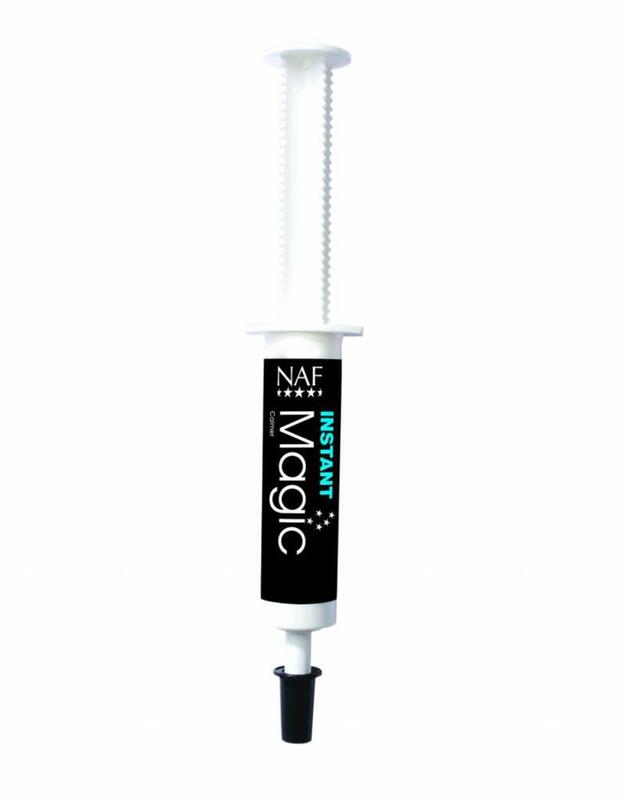 Note: NAF can proudly confirm that the magnesium used in Magic does not violate the FEI rules and can be used safely for all horses.